Porcelain veneers, also referred to as dental veneers, are customised porcelain shells designed to perfectly fit over your teeth. Aesthetically, veneers restore the brilliance youthful, healthy teeth by covering permanent stains, closing gaps and eliminating the embarrassment of misaligned teeth. From the glossy pages of magazines to your neighbour, people in all walks of life are turning to veneers to restore the beauty of their smile. Modern dental porcelain laminates, as it’s also known as, perfectly matches your surrounding teeth and overall dental shape by using wafer-thin materials. Veneers may use a resin composite material, however, porcelain is the highest-quality standard as this material mimics the natural appearance and texture of teeth. The veneer is custom designed to match the length, size, shape and colour of your natural teeth. Covering severe tooth discolouration caused by personal habits, such as drinking staining beverages or smoking cigarettes, to medical procedures, such as a root canal. Correcting worn, chipped or broken teeth found in the front of your mouth. Straightening uneven, crooked or misaligned teeth. Initial Planning Appointment | This is the most important step as it’s when you and your dentist formulate the best course of action. Based upon your goals and the current state of your teeth, the dentist closely examines your mouth to not only ensure it’s an appropriate choice, but also what will be involved. The dentist may also take x-ray’s of your teeth and make impressions to further investigate your unique situation. 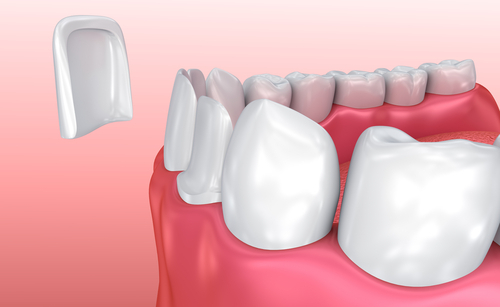 Preparation for Veneers | Using a local anaesthetic to numb the entire area, your dentist removes a small amount of tooth to ensure there’s ample room for the veneer. A new impression mould is made of the procedure teeth and opposing teeth. Finally, your dentist may place temporary veneers on your prepared teeth until your final veneers are ready. It can take anywhere from two to three weeks to complete this process. Installing Your Veneers | After removing the temporary veneers, your dentist places the newly created veneers on your teeth. If any adjustments are needed, they are performed, and when both you and your dentist are satisfied, the veneer is permanently attached with a special cement solution. While porcelain veneers are designed for years of pristine use, its lifespan depends on your oral hygiene. Brushing and flossing is essential, but it’s important to avoid habits that may damage your new veneers. Avoid chewing on ice or biting your nails. While most dentists in Box Hill are qualified to fit veneers, few offer the experience and passion as our team at Smile Gallery Dental Clinic. If you’re curious about what porcelain veneers can do for your smile, call us at (03) 9395 8400 and schedule your appointment today! Achieve the oral health you desire – Contact us now!